Though appropriate for its time, the Standard Test Method for Water Loss Through Liquid Membrane-Forming Curing Compounds for Concrete – or ASTM C309 – was developed when finishing techniques had not yet progressed to the effectiveness of contemporary practices. Wood float finishes, as required by ASTM C309 in accordance with ASTM C156, create a more porous surface than steel-bladed power trowel techniques commonly used today. Steel troweled finishes result in a harder, tighter surface that reduces moisture loss, aiding cement hydration. The prevalence of more effective steel trowel finishing techniques has led to improved hydration of concrete over wood float-finished surfaces. These advanced finishing techniques have led to renewed interest in the development of alternative curing methods capable of achieving the water retention requirements of ASTM C309 on more effectively troweled floors. However, as long as ASTM C309 requires specimens to be prepared according to the finishing techniques of ASTM C156, many potentially effective cures are prevented from successfully meeting these specifications. Nox-Crete recently hired an independent, certified laboratory to conduct testing on membrane-forming Silcoseal Select, Silcoseal 2000F and Silcoseal Classic bondbreakers. 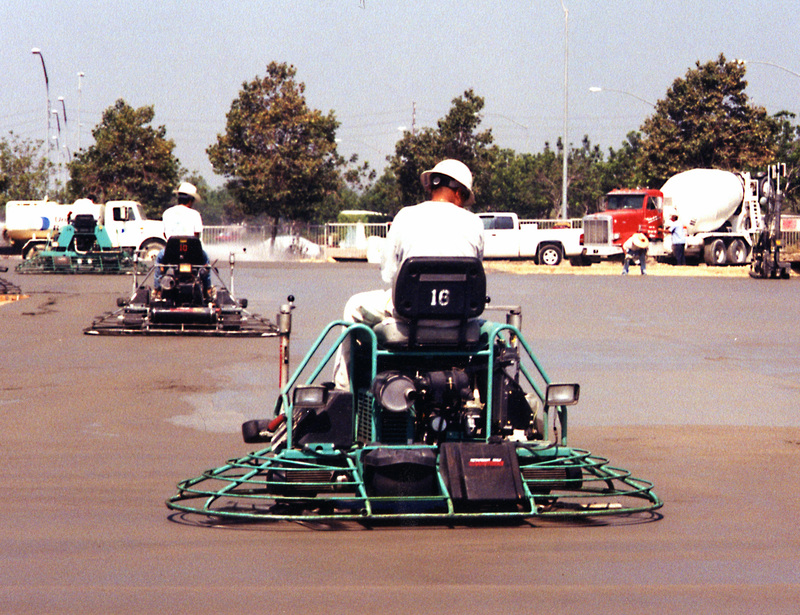 Traditionally, these products have been used as effective bond breakers, but formulation improvements, coupled with the improved concrete finishing techniques, have led to these products exhibiting curing benefits as well. In an effort to develop a protocol for simulating a steel troweled surface for test purposes, the testing laboratory and Nox-Crete found CEN/TS 14754, a European standard that defines how to prepare test specimens that simulate a steel-troweled finish. The discovery of this standard removes variability in preparation of the test specimen and allows more uniform testing procedures. Prior to discovering this standard, there was no impartial way to conduct a moisture retention test on a steel-troweled surface. By adhering to CEN/TS 14754 standards, products can be tested with consistency. The improvement in water retention capabilities of a simulated steel trowel-finished control specimen (prepared in accordance with CEN/TS 14754) to that of a wood float-finished control specimen (prepared in accordance with ASTM C156). The water retention capabilities of Silcoseal Select, Silcoseal 2000F and Silcoseal Classic when tested in accordance with ASTM C309 on a steel-troweled specimen (prepared in accordance with CEN/TS 14754). The test specimen prepared with a steel-troweled surface (prepared in accordance with CEN/TS 14754) had an improved water retention of 18% compared to that of the sample prepared with a wood float finish (prepared in accordance with ASTM C156). Testing found that Silcoseal Select, Silcoseal 2000F and Silcoseal Classic meet the ASTM C309 maximum 72-hour water loss requirement of 0.55 kg/sm when applied to specimens prepared in accordance with CEN/TS 14754, validating them an effective ASTM C309-compliant cure. Nox-Crete developed Silcoseal Cure & Bondbreakers with modern concrete finishing techniques in mind. Contractors have been using Silcoseal Select, Silcoseal 2000F and Silcoseal Classic for their unmatched performance as bondbreakers for years, but the results of this test confirm their effectiveness as a cure for projects requiring ASTM C309 compliance. Compatibility issues are eliminated between dissimilar chemicals. The number of chemicals on a job site is minimized, thereby reducing potential for improper applications. Stripping process costs are reduced. Conventional ASTM C309 cures typically require a laborious stripping process to remove. Conversely, Silcoseal is typically removed easily using a dilution of Nox-Crete’s Bio-Clean Concentrate CPC. Product layout and usage improves when Silcoseal applied as a cure. Subsequent bond breaker applications of Silcoseal lay out more effectively and require less material when there is a cure coat application of Silcoseal. Validation of Silcoseal’s compliance to ASTM C309 has the potential to change the tilt-up industry for the better, and Nox-Crete is excited to be on the leading edge of these innovations. Click to download this Technical Bulletin as a PDF. This entry was posted in Flooring, Technical Bulletins and tagged ASTM C156, ASTM C309, Bondbreaker, CEN/TS 14754, curing compound, Silcoseal, Steel Trowel, tilt up, tilt-up on June 19, 2014 by Aaron Nussbaum.